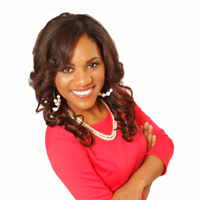 Ms. Ashley Joy Causey is a Non-Profit and Communications professional. She is acclaimed as an emerging leader by her peers and mentors. Ashley continues a legacy of being civically engaged, culturally connected and spiritually led. Dedicated to her life’s mission, she aspires to teach and instill a sense of purpose in everyone she comes in contact with. Born in Bridgeport, Connecticut she grew up in New Orleans, Louisiana and claims the Bayou City as home. Ms. Ashley attended Wilberforce University in Wilberforce, Ohio and received her Bachelor of Science in Business Management. She also attended the Academy of Art University in San Francisco, California where she received her Masters of Art in Media Communications with distinction. She has broadcast from her school News Station to over eight counties, covering special assignments, such as “Homelessness in San Francisco” and she was flown to New York City to cover Fashion Week. She’s a beneficiary of a family and community that has wrapped their arms around her, demanded greatness and who have physically, mentally and spiritually supported her pursuit. She is currently traveling and working abroad in Europe where she just completed this, her first book, Dreams of Joy: Encountering an Unfailing God and His Unfailing Love.